Bowl. Straight upper wall curves in slightly downward. Small rim rolled outward with rounded lip. Somewhat fine fabric with rare to uncommon, tiny to small, subrounded, light inclusions. Thick, somewhat smoothed slip on interior with two very light turning marks under rim; matte slip on exterior. 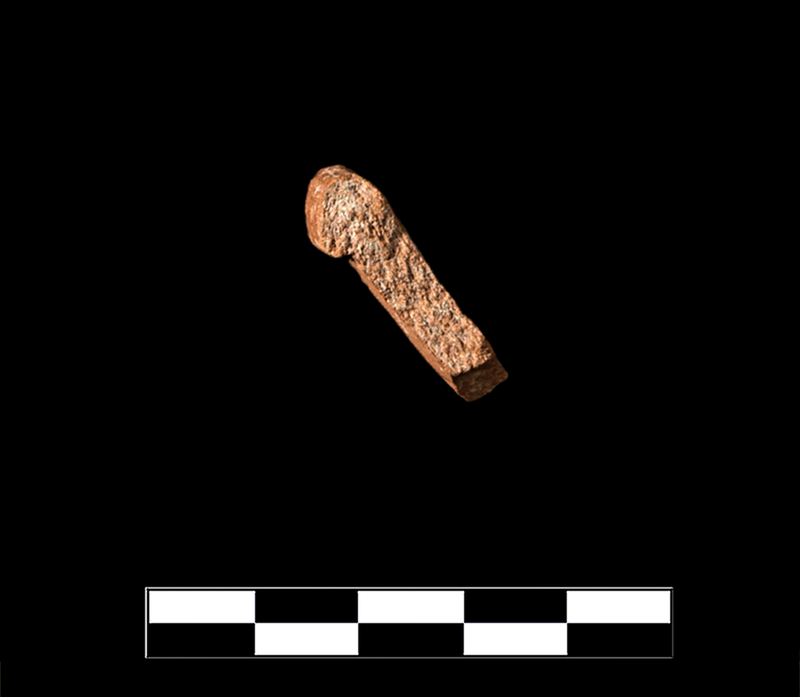 One sherd preserves >10% of rim and small part of upper body. Slight, sparse abrasion and pitting; mostly clean breaks; scattered specks of encrustation.